The best plans in the world are well-thought out and constructed over a considerable amount of time. The efforts usually brought together the best minds and created detailed, yet flexible action steps to reach the goal. The best plans were usually understood by all stakeholders and included a great deal of consistency and synchronicity among all the moving parts. The best plans oftentimes included a sleepless night just before the first day! Everyone was excited about the new plan and anxious to get started. Then the unanticipated happened. Oh my! We didn't plan for that! What do we do? 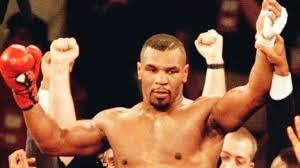 Mike Tyson said, "Everyone has a plan until they get punched in the face." If your plan was worth the time and energy to create, it will be able to handle a few punches! Be brave!